Mount Chomolhari in the background and a temple at Phari (phag ri). There is a wall of dressed stone in the foreground and prayer flag poles. The Tibet Album. "Chomolhari from Phari " 05 Dec. 2006. The Pitt Rivers Museum. 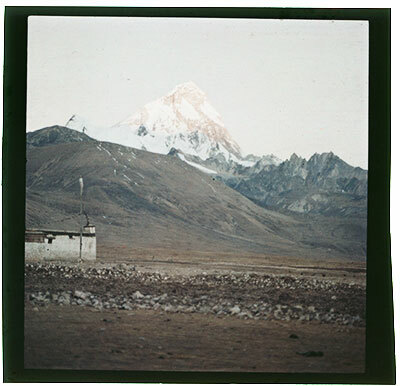 <http://tibet.prm.ox.ac.uk/photo_2001.59.8.93.1.html>.